Massive discounts on ebooks from the likes of Sony and Amazon could have long term effects on the publishing industry, author's groups have claimed. Promotions from both companies have offered titles at a 97 per cent discount on some top titles, offering them for just 20 pence, as they seek to push their respective stores and reader devices. Bestselling books from authors like Jeffrey Archer, James Herbert, Kate Grenville, Chris Pavone and Alice Peterson among others have all been promoted at the 20p cover price this summer. While authors have currently been receiving full royalties, the likelihood of the public getting used to the low prices will inevitably lead to those profits coming down in proportion, reports the Guardian. This would put the livelihood of writers and the survival of independent bookstores at risk according to author's rights groups. Kate Pool of the Society of Authors advocacy groups says: "Since before the inception of the Society 128 year ago, authors have fought long and hard to ensure that copyright properly protects their fundamental right to control and profit from their creations. "If books are perceived to have almost no value, that fight seems pyrrhic indeed, as are the chances of professional authors, of even the most sought-after books, let alone those which are highly researched or costly to produce, making a living from their writing." Lindsey Davis, a historical novelist and the Society's chair, added that she was "very opposed to the 20p book trend. Authors should be able to make a living." 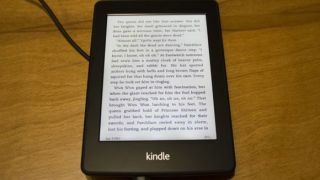 So, even though digital book sales were revealed to be up 188 per cent in the UK in the first half of 2012, vastly increased sales as a result of heavily discounted books may be bad news for authors in the long run.